The Platform Wooden Space Saver Bed is an effortless, elegant bed frame that works well in both contemporary and traditional bedrooms. 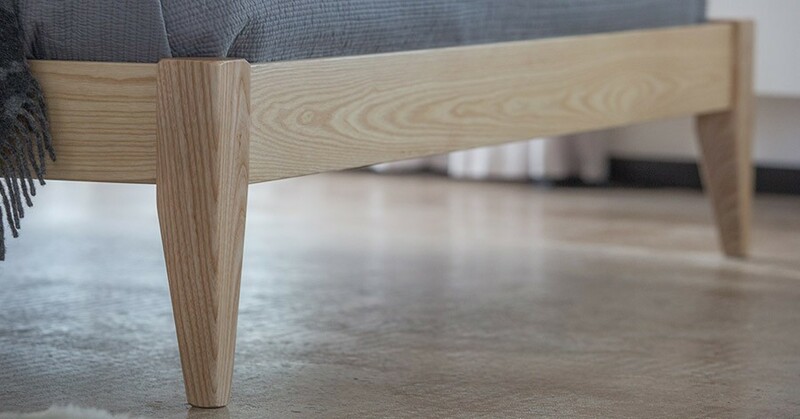 The versatility of this straightforward platform wooden bed frame design will enhance not just your bedroom, but your home too. 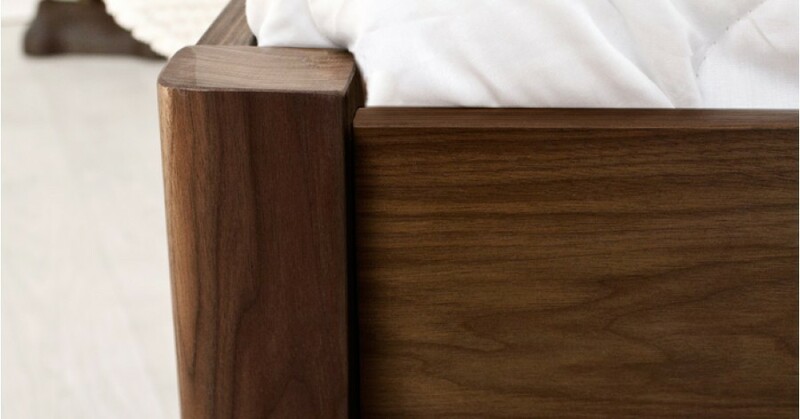 Handcrafted by our skilled carpenters, we guarantee this bed will keep you comfortable. It’s modern and refined, making full use of a minimalistic design to live up to its space saver title. It fits right in with our range of other space saver beds. 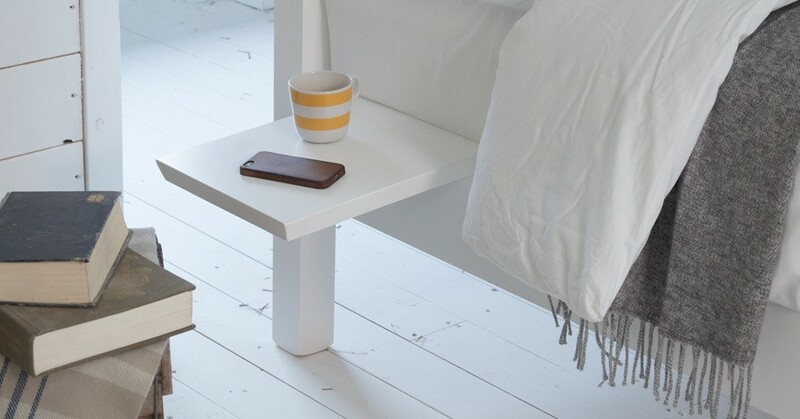 The wooden Platform Space Saver bed is a wonderful addition to our space saver range. Designed to give you those extra few inches of space when you need them most, it fits into the most awkward of places. 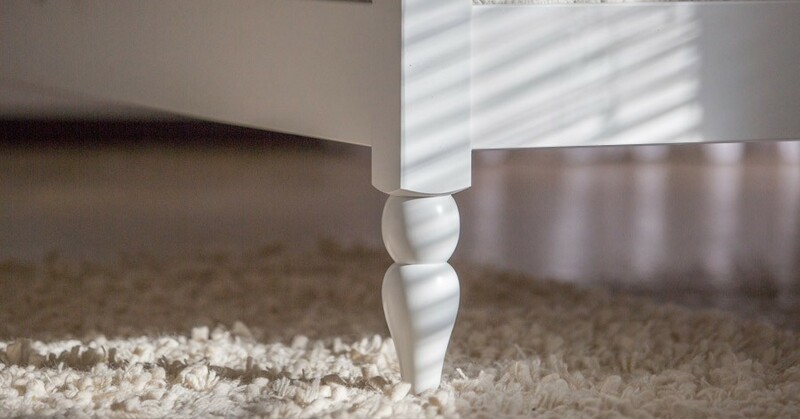 In addition to boasting a contemporary, almost minimalist aesthetic it allows good clearance thus offering valuable storage space under the bed. A key difference between the wooden Platform Space Saver Bed frame and other similar designs is that it takes up less floorspace, making the Space Saver wooden bed a great choice for bedrooms where space is limited. 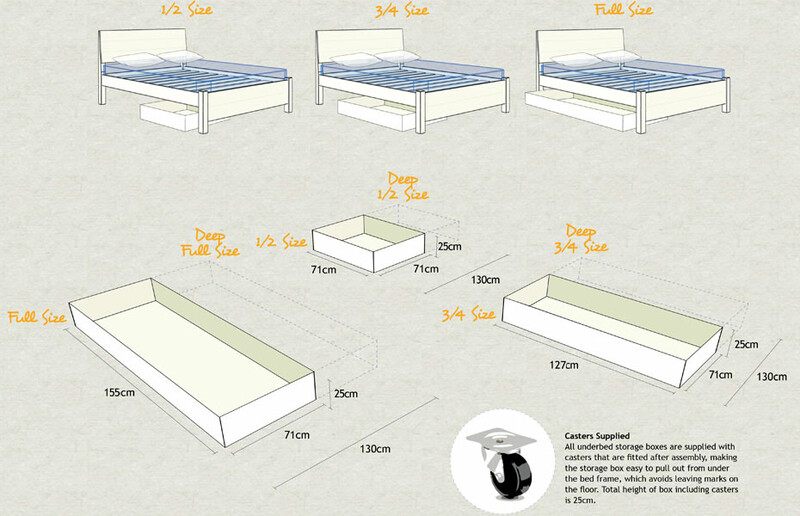 The Platform Space Saver Bed frame is available in all sizes ranging from a Small Single all the way to a Super Caesar. The Super Caesar Bed is one of our exclusive designs, a luxurious size we created ourselves to suit those with extravagant needs. Once you’ve selected which size meets your requirements, there are a wide variety of wood stains that we offer, finished by a clear satin. There is a total of 18 different satin stain finishes, 10 for our Solid Scandinavian Pine, and another 8 for out Solid Hardwoods. The handmade wooden Platform Space Saver plattform looks wonderful in our white satin stain finish for our Solid Scandinavian Pine. 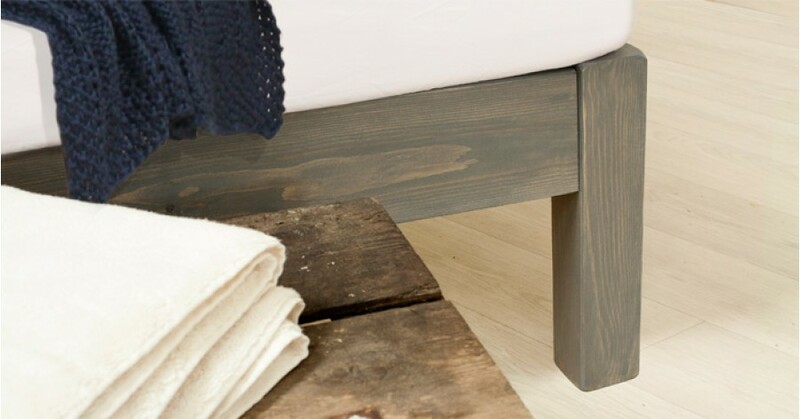 All of our wooden bed frames are handmade to order by our experienced bedmakers here in the UK. If there are any dimensional alterations or bespoke design features you would like to incorporate for a custom requirement you have in mind, please give us a call and we will be happy to provide a customised solution. As a space saver model, a clear alternative right from the start is the standard edition of the Platform Space Saver wooden bed frame, the original wooden Platform Bed frame. Both of these beds are part of our standard height bed frame range, and are excellent for underbed storage. The only difference being the standard wooden Platform Bed frame is a little wider. There’s also the Low Loft Bed, and the Low Modern Bed, both very space efficient handmade wooden bed frames. 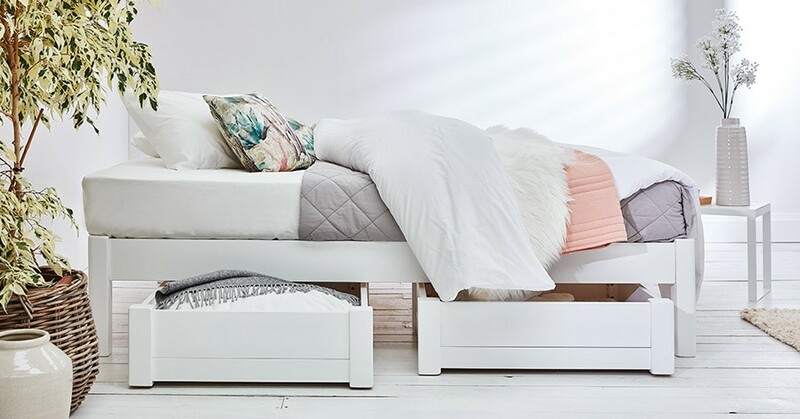 If you like the look of the wooden Platform Space Saver bed frame, but you’d prefer something a little different, any one of these beds is an excellent choice. Please note mattresses and bedding. These can be purchased separately.